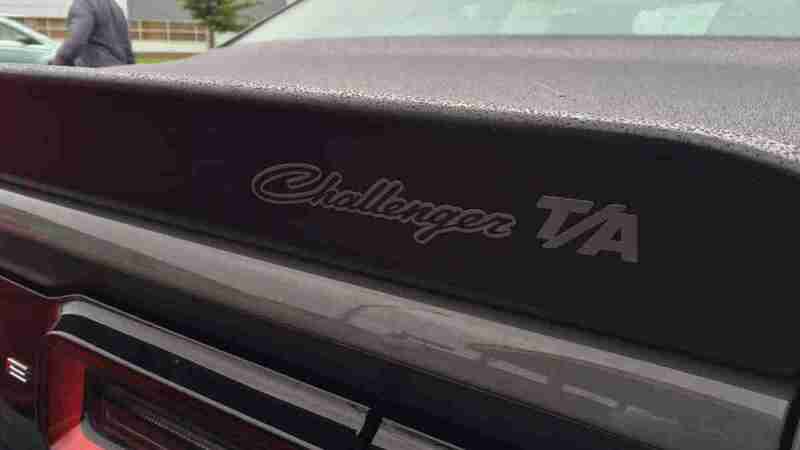 Dodge is releasing two new old models of its muscle cars for Woodward this week: The Dodge Charger Daytona and the Dodge Challenger T/A. http://autoweek.com/article/car-news/2017-dodge-challenger-t-and-charger-daytona-storm-woodward-dream-cruise. This reveal comes just before Uber made moves to ditch human drivers altogether in a Pittsburgh field test. While the rest of the world is moving us toward EVs and self-driving tech Dodge is almost defiantly producing muscle cars. I think the timing of the reveal tells us a lot. This is what it says: Drivers love to drive. And they love the cars that drive well and look great. Hence the popularity of Woodward. Monterey Car Week is under way this week, too. Vintage cars, auctions, and throngs of people. But despite Dodge’s new muscle cars and Woodward and Monterey, EV tech is moving forward, and self-drivers are becoming more and more prevalent. In fact, MIT just released a study in the journal Nature suggesting that we don’t need vehicles with a large range, but that an 84-mile Nissan Leaf will do the trick. The MIT study found that for 87 percent of the car operators an EV, perhaps even a shared EV, would work. That says a lot too. It says that the people who want and are pushing autonomous drive and EV vehicles aren’t drivers. They are consumers and the car is just another appliance to them, which would explain why the Camry is one of the best-selling vehicles in the market. But for those of us who love the feel of a car responding to our control, the feel of the road, the thrum of an engine, the squeal of tires, we won’t be satisfied with a vehicle that only gets from point A to B. Cars aren’t appliances to us. We more than likely wouldn’t be open to car sharing services and boring EV and/or autonomous drive vehicles. Unfortunately, we make up only 13 percent of the study. To be fair though, a lot of us in that 13 percent probably have a daily driver that gets decent mileage and does the A to B during the week without a lot of speed or excitement—heck, it might even be a Camry—and our driver car is for special occasions like a weekend trip or a car cruise or when we just want to cut loose from the hum drum. I would love to be more excited, really I would. But this is will probably be another concept that Cadillac won’t produce, nor incorporate any part of into its upcoming designs—Elmiraj we’re looking at you. That being said, if you are in the area you should head out to Car Week and get a glimpse of all those fabulous cars. Paul Fix and I will be at Monterey car week, a His Turn – Her Turn review will be coming soon.